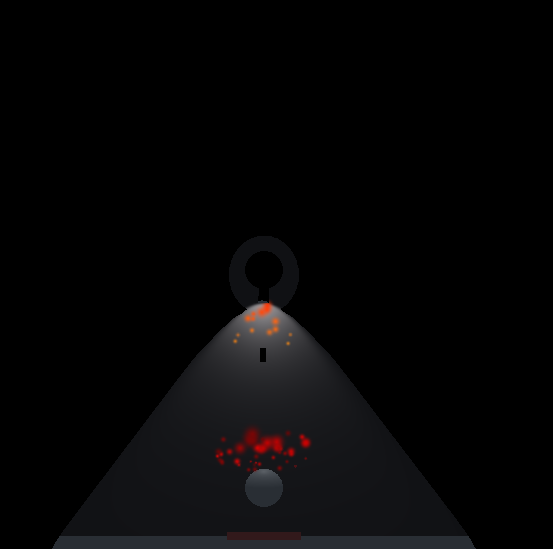 You were trapped in a room with only a gun, a flashlight, and a few ammunitions, you're going to have to survive waves of enemies, but as you progress, the lights will turn off ! To help you, you will be able to gather flares from enemies. Once thrown, these flares will light up in the dark wherever you threw them to show what's there. Tips : Each door makes a different sound so you can know where the enemies come from, and the sounds are 3D, so it's easier to play with headphones. Killing an enemy gives you a bullet. 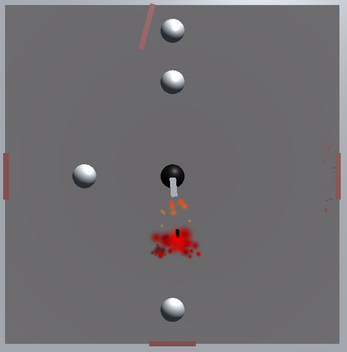 Controls : Left click to shoot, right click to throw flares (picked up on certain enemies). Don't hesitate to send some feedback ! Is it me or the game is too difficult? Yeah, I've made the difficulty suited for me, but it's easier for me since I know every detail. Do you think I should rather change the difficulty in itself or add a difficulty setting with easy/middle/hard ?